The rematch has been set and as we count the final moments before the opening bell, we stand at the cusp of seeing the rightful king exalted. Although we may reflect upon their first encounter in the hopes of extrapolating tonight’s result such analysis alone may not yield the answer. The fighters in Sergey Kovalev and Andre Ward may not be the same fighters who faced each other in November late last year. Although we stand with the hopes of continuing the fight as if igniting the 13th round; evolution may offer us greater refined results. No one can deny that Sergey Kovalev was born to fight. He makes sense of this journey of life punch by punch, inch by inch to victory in his pursuit. The fact that was denied to him has inspired him to press upon another fight a desire to settle what he deems an unjust score. The internal storms of torment Sergey has undergone have been fuelled by the continuous replays of their earlier bout which should have been his greatest crowing moment, something he believes he was taken from him. Sergey was not gifted a padded life. His mother and step father struggled to support their three boys with the small penance afforded to them. His neighbourhood, a man was to be defined by his ability to provide and provide safety for himself and his family. A mentality which still possesses Kovalev and his charged dedication to the sport of boxing. At the age of 12 he too lost his step-father, an event that threatened to tear him away from our sport but he returned with vengeance and has been fighting to prove himself ever since. Andre Ward has been fighting all his life. His life, his struggles have groomed him a winner. Losing his father threatened to derail his path. Virgil Hill stood by his charged and steered him back to the path of greatness channelling the energy life imparted on him. Every time he has reached for greatness it has been achieved. Ward has been notably inspired by the father he lost so early in his life, and is honest about the ills substance abuse has imparted on his family given his mother’s battle with drugs. Andre is a fighter and life’s events have forced wisdom and forged character in him from an early age. Even today character in not something that Ward is lacking. In the moments of life defining fights both stand stripped away from the money and glamour this sport offers in its chosen seasons. I believe both will have to revisit the reasons that they find themselves in Mandalay Bay tonight, the reasons that they wake up and absorb punishing blows both boxing and life have so freely offered. In the moment of asking in their first bout, it was Andre Ward who emerged the winner, who rose from the canvas when all of boxing were looking at to Kovalev to cement what seemed an imminent knock out. As addressed in Chapter 1: Bitter End both these unique fighters are incredibly talented and well matched in ability and boxing acumen. However tonight may grant us an opportunity to crown a king where no bitter end will lead to further disputes as we have seen as a result of their first chapter. The margin that will separate tonight’s winner tonight from the loser will be endowed in the fighters’ ability to learn, facilitate adjustments and use the components in their weaponry to exploit the evolutionary advances fostered by seven months since November. It is going to be a close encounter but tonight, we will argue less about the deserved crowing. Both combatants have something to prove tonight. Kovalev possess some lithium loaded punches capable of knowing the fight out of most champions and throughout this bout that is going to be a factor. However even upon saying that, I believe that it is the subtle ability to make adjustment and unveil seemingly unlimited geared in his case of adjustments and approaches that will prove his advantage tonight. 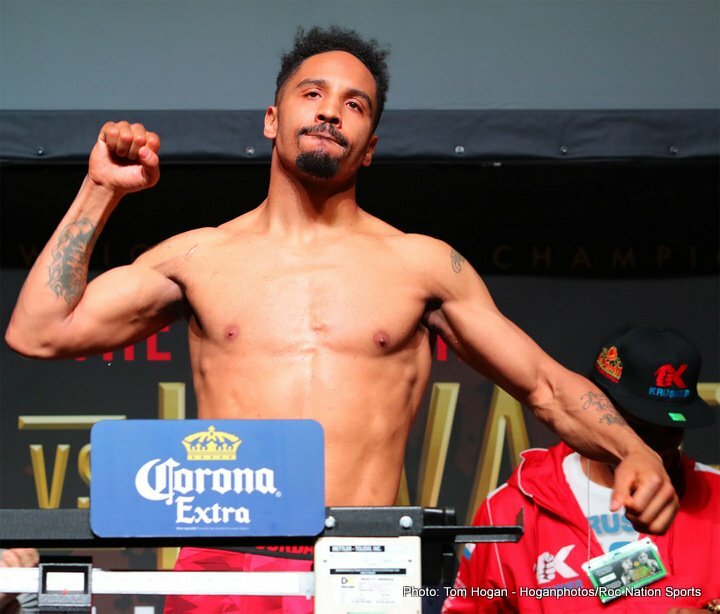 This fight will be a win for Ward.